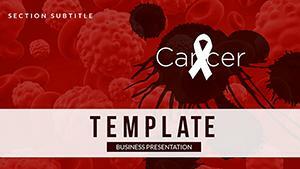 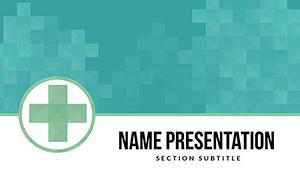 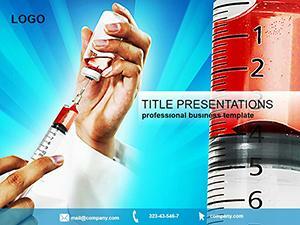 Medicine Details PowerPoint template with thematic background and themes (slides and formatted text). 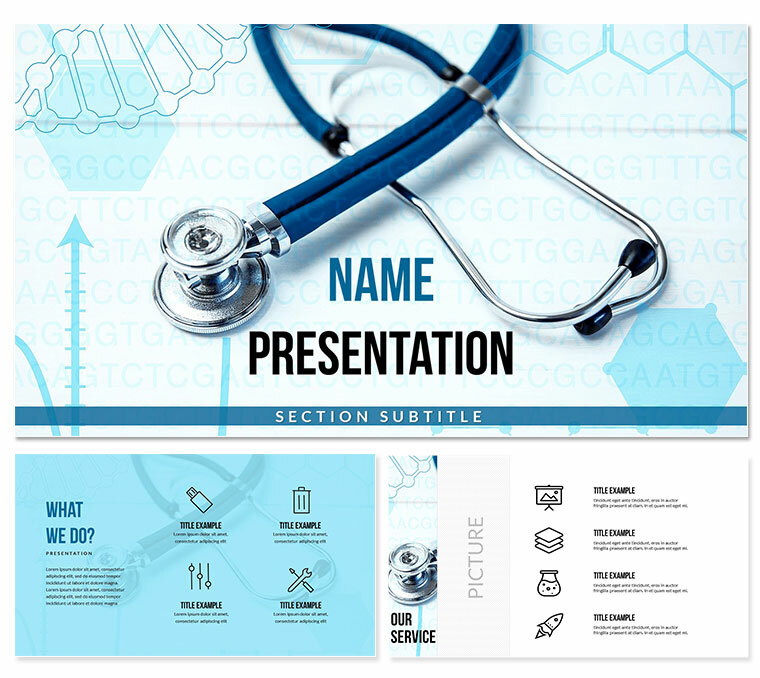 Against the background of the template, a stethoscope for the doctor, graphics analysts, is depicted, focusing on the fact that this is a design for reporting in medicine. 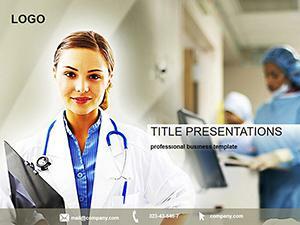 Ready-to-use Medicine Details template will help you quickly and professionally arrange an existing one or create a new presentation.